Preview Tracks From Paul Weller’s "Sonik Kicks!" – Paul Weller News! 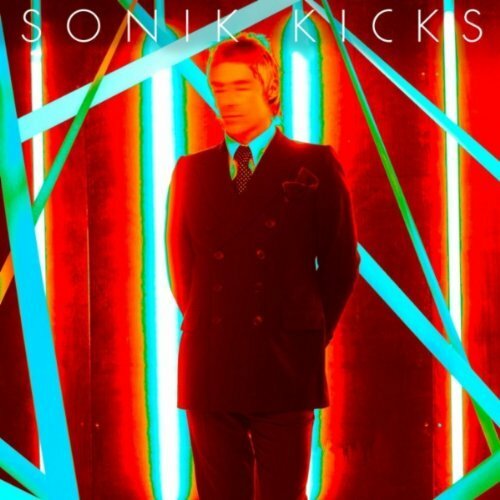 Preview Tracks From Paul Weller’s "Sonik Kicks!" 9 Comments on Preview Tracks From Paul Weller’s "Sonik Kicks!" and March 27th in North America! Sigh…….I'm a huge Weller fan and always will be. I'm just not feeling this, I dont care for it. I miss the music from the era with Minchella, White and Craddock. I really miss Wellers guitar playing and rock sound. Please dont get all “Madonna” on us longtime loyal fans. Go fire up yer scooter, take a long ride and come home with pure instrumental music on the brain. Hell, come back a bit angry! We like you that way. sounds ok but compared to wild wood,stanley road,heavy soul and heliocentric im not so sure. I'm sighing too….how negative you all are. Why would any one who knows anything about Wellers music, want him to rehash Stanley Road every 2/3 years. These are only quick clips but this sounds like a great album to me. This is surely why (some of his) fans are so loyal, he's always trying to better himself. Why do you think he split the jam and never wanted to reform them. Anyone, hope you all change your mind when you actually hear the album in full. Nobody wants him to rehash stanley road but theres a difference in being loyal and having blind (or in this case deaf) adoration. Electonic pop? do me a favour. The word to describe this collection of poor mans kraftwerk songs begins in S and ends in T and its not salt. Big fan since 1977 and always find PWs music needs a few listens.On every album tracks that “I just don't get” but overall more positive on this at first listen than I was Wake Up the Nation.For example I did not care for Around the Lake at all on first two listens now I play it often. Previous Entry Paul Weller To Play New York City In May! Next Entry YepRoc Announces Release Details For Paul Weller’s Sonik Kicks!